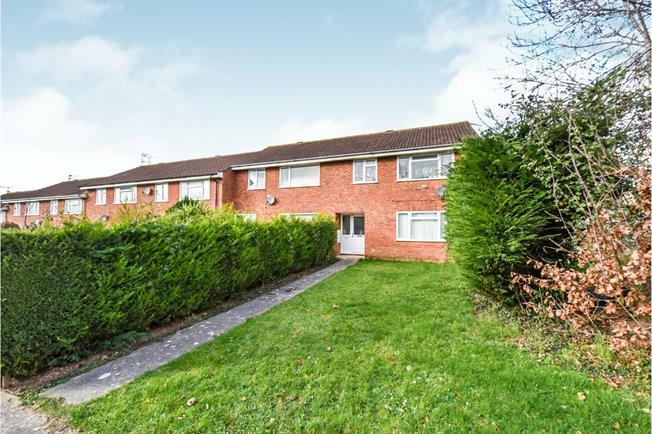 3 Bedroom End of Terrace House For Sale in Yeovil for Offers in excess of £190,000. This spacious three bedroom property is well positioned along the popular road of Magna Close on a good size plot. The property offers practical accommodation throughout, comprising: Entrance hall, Lounge, Kitchen/Diner, Utility and W.C to the ground floor; with three good size bedrooms and a bathroom to the first floor. The property is double glazed throughout, offers gas fired central heating and is sold with no onward chain. Internal viewing is highly recommended to appreciate the practical, sizeable accommodation on offer. Presented with a modern range of base and wall mounted units with worksurfaces over, incorporating one and half bowl stainless steel sink unit with drainer, integrated cooker and hob with extractor fan over and space for washing machine and fridge freezer. There is also a window to rear, radiator and laminate flooring. With window and door to rear, alongside elevated worksurfaces with space under for washing machine and tumble dryer. With window to rear, radiator, tiled flooring and walls. There is also a bathroom suite comprising panelled bath with shower over, glass screen, low level units incorporating wash hand basin and a low level WC. The property is situated on a good size plot consisting of front, side and rear gardens which are largely laid to lawn with hedge surround and footpath to the front and hardstanding directly from the rear door. There is also parking and a gate to the rear and the boundaries are enclosed by fencing and hedging.